After answering her uncle's call, Eva Witheby winds up far from home and amidst strangers in Jewel Quest Mysteries Trail of the Midnight Heart! It's hard to know who to trust when treacherous trails and veiled secrets abound. 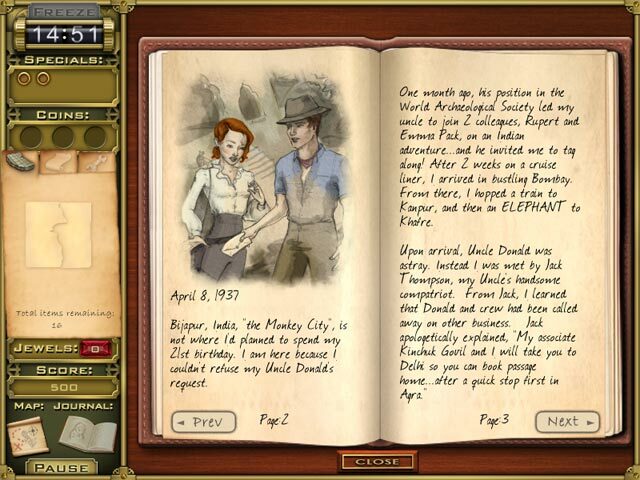 Alongside Eva, uncover relics in eye catching Hidden Object scenes. Unearth tools that will help you reveal shards of the precious jewel boards in this exciting whirlwind adventure! 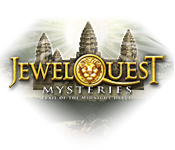 Jewel Quest Mysteries: Trail of the Midnight Heart is rated 4.1 out of 5 by 16. Rated 5 out of 5 by rachelsalow from Trail of the Midnight Heart Love this game. It's my favorite of all the Jewel Quest games. Rated 5 out of 5 by bearpawqs_5355 from I keep this game on all my computers! This is by far my favorite game. Whenever I replace a laptop this game goes with me. I have had it for years and play it over and over again. I love the graphics, all the different screens and games within games. This game has actually spoiled me because I try to find others like it and am disappointed! I know different games appeal to different tastes but this one has me hooked. It has been money well spent. The free trial is worth the time to check it out. Rated 5 out of 5 by mother230 from really loved it love all hidden object games but this one was especially good! Rated 5 out of 5 by lgdl05895 from Re-playable I have had this game for sometime now, its one of my favourites wish there were more like this, I have all the Jewel Quest games. Its a game you can go back to time & again, good length and value for money. Would highly recommend. Please can we have some more like this! Rated 5 out of 5 by lcapps2002 from GREAT ADVENTURE This is a lighthearted game. Beautiful scenes, clear objects. Not frustrating at all. Love the music. Only 1 type of minnie puzzle throughout but it was still fun. Highly recommend this game. One of my favorites of all time. 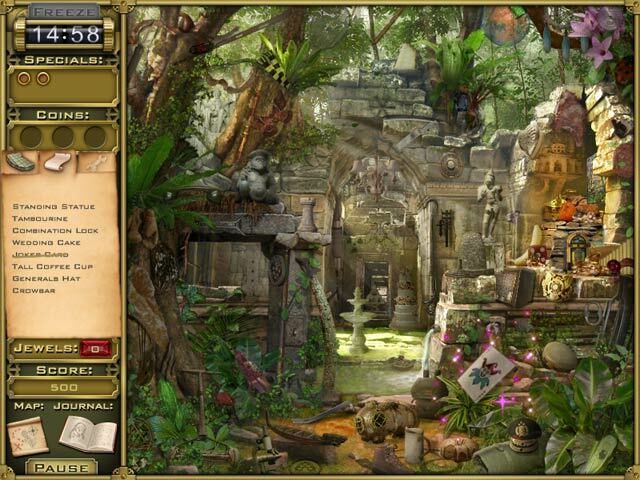 Rated 5 out of 5 by jankles from Great Hidden Object Game This is a great game to play if you like hidden object, match, plus trying to match things while the screen is moving. The colors on the screen are really nice. Its also a long game, you well get your moneys worth when you buy it. 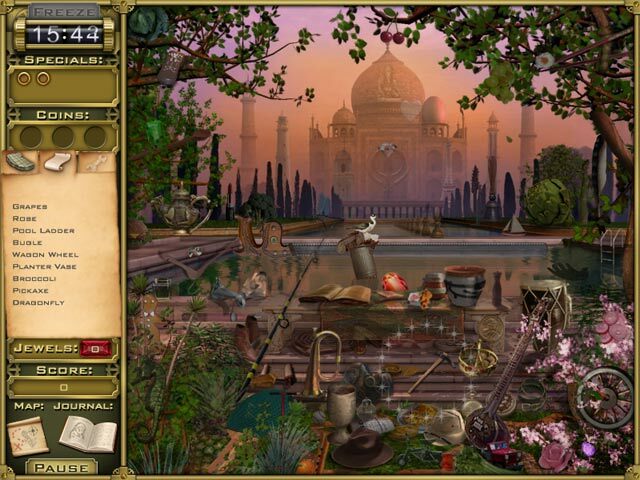 As the game progresses the hidden objects get harder to find, but you can buy things and make it easier to find. I would like more games like this in the future. Rated 4 out of 5 by gamefan10 from A wonderful game I really enjoyed playing this game. It's 20 levels, with 3-5 HO scenes in each level and a jewel puzzle at the end of each. The journal entry at each level tells the story of the Midnight Heart. The game is timed, and I ran out of time twice, but that's not too bad. When you repeat the level several of the items are the same, so it's much easier the second time. In each HO scene you look for jewels, which buy bonuses, and coins, which buy extra hints. Once in a while there is a moving screen and you have to find 20 of a certain item as it scans along. The only downside to the game was that some items were very hard to find, which is why I didn't give it 5 stars. Otherwise this is a fun and well-made HO game.